17 Dove Street: Now Accepting Applications! 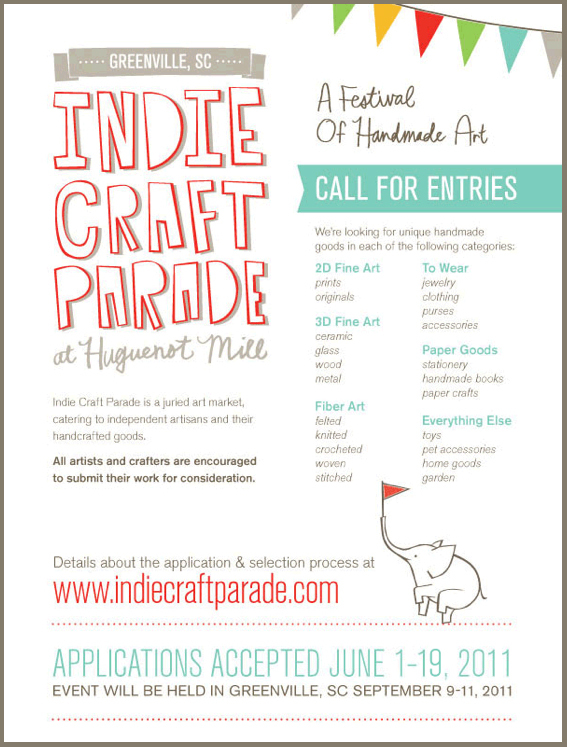 It's that time again... We are now accepting applications for this year’s Indie Craft Parade! All regional artists and crafters are encouraged to submit their work for consideration. Applications must be submitted before midnight EST on June 19, 2011. Our application process is completely online this year, and is much more streamlined and user-friendly. A huge thank you to DUO Interactive, a local web design team that donated this wonderful feature.